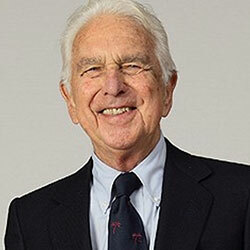 Warren Bennis Ph.D. is University Professor and Distinguished Professor of Business Administration at the University of Southern California and the founding chairman of USC’s Leadership Institute. He has written 18 books including: On Becoming a Leader(which was translated into 19 languages), Why Leaders Can’t Lead, and The Unreality Industry, co-authored with Ian Mitroff. Bennis was successor to Douglas McGregor as chairman of the organization studies department at M.I.T. He also taught at Harvard and Boston Universities. Later, he was Provost and Executive Vice President of the State University of New York-Buffalo and President of the University of Cincinnati. He has published over 900 articles and two of his books have earned the coveted McKinsey Award for the Best Book on Management. He has served in an advisory capacity to the past four U.S. presidents (for better or worse) and consulted to many corporations and agencies and to the United Nations. Awarded 11 honorary degrees, Bennis has also received numerous awards including the Distinguished Service Award of the American Board of Professional Psychologists and the Perry L. Rohrer Consulting Practice Award of the American Psychological Association.